After seven weeks of traveling, July is a month of staying still, praise be to God. I was so grateful for the time at home in Seattle and with my parents in Ethiopia (and a mini solo vacation in Qatar), but by the end, I was exhausted. I had about 10 days to recover before starting Greek school (see below), which was very needed. As much as I love to travel and explore, I'm also a homebody at heart. I love the feeling of being rooted and settled, of a routine and purpose to my weekly rhythms. This summer isn't quite what I expected, but I'm figuring it out as I go. I'm starting to enjoy the daily thunderstorms, to adjust to the constant humidity, and to invest in my current community. So here it is, the month of July. My friend Keith and I are housesitting for one of our professors who is gone for the summer. I was planning to live in my apartment, as usual, but when the opportunity to live in a real house with a friend came up, I jumped on it. It's a perfect walk from campus through the Midway Woods and it's been a huge blessing to have a bigger space to have friends over, a backyard to watch fireflies(!! ), and most of all, a garden to work in. They have an amazing vegetable garden and we get to reap its summer harvest, which is a wonderful delight. I think all seminarians should have to do some gardening before they can properly understand Jesus' metaphors. Greek! I'm in Atlanta for the rest of the summer for "Greek School." I took Hebrew last fall and now I need to learn Greek to be able to read the Bible in both of its original languages. I have class every morning and then I work and study in the afternoons. I learned Hebrew in 14 weeks but Greek school is only 6 weeks long, so as you can imagine, it's like drinking from a firehose. It's been pretty overwhelming and frustrating, to be perfectly honest. 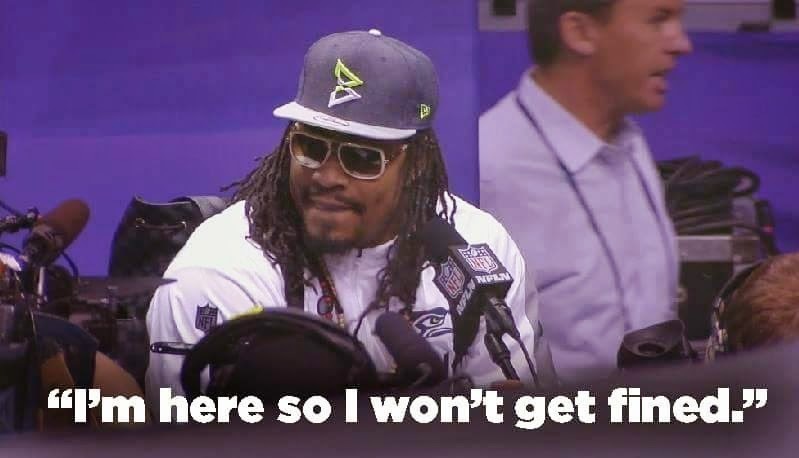 I'm in full on Marshawn Lynch mode. I was in a professor's office when I saw this laying on their desk and recognized the author as my friend's dad! I figured I'd give it a read and I ended up really enjoying it as a leadership development book. Tod is a former PCUSA pastor and VP at Fuller Seminary, so it was great to read from someone down the road in my field. He's very honest about the bleak future of the mainline, White church in America while giving hope for the creative future pastors must embark on. While I have some pushback on whom he casts as heroes in the book's main metaphor, I found it incredibly engaging and inspiring. I highly recommend to those who work in the church and are thinking about the future of their ministry. I've been hearing how incredible this show is for years, but after months of hearing about our President colluding with the Russians to hack our election, I finally gave in. I was hooked immediately and couldn't believe it took me this long to start watching. It's definitely R-rated, just as a heads up, but it is some incredible television. My friend David always has the best podcast recommendations and a few weeks ago he suggested the podcast More Perfect and I loved it so much that I listened to 4 episodes that day. The folks from Radiolab break down important Supreme Court cases and their resulting impact. I love to learn things and this podcast has been a great way for me to learn about the history of the Court in specific cases. Season 2 starts later this summer and I can't recommend it enough. You don't have to listen to the episodes in order and I recommend starting with: "Political Thicket." I'm obviously not a fashion blogger or have any interest in being one, but I do love great companies that make beautiful things. Live Fashionable is a company that empowers women in developing countries by employing them in well paying, skilled labor jobs that provide dignity, income, and stability. I have their Tirhas Saddlebag and it's absolutely my favorite purse I've ever owned. I believe it's worth the extra cost to shop sustainably and ethically. I buy less than I used to, but I buy better quality things and I enjoy them so much more. If you sign up for their mailing list, you can get $10 off. As I was thinking about spending my first summer in the South, I knew I was going to have to find an indoor hobby. I'm used to spending every free second of my summer outside, but it's pretty sticky outside down here, so I got a membership at a pottery studio nearby. It's the first time I've started a brand new hobby in a long time, and pottery doesn't exactly come easily. Most of the people at the studio have spent years and hours of practice to get to where they are. It's been a good (and hard) experience to have to practice over and over until I start to get proficient. I'm learning how to find joy in the messy, imperfect learning process. This is a bit more personal than I typically share and maybe TMI for some folks, but it's important so I'm going to share. For all the ladies (and everyone who has periods), there's a fantastic app by Planned Parenthood that helps you track your cycle, called Spot On. It also tracks any birth control methods you may be using, as well as your mood, symptoms, and behaviors. Periods are so taboo in our culture that many women don't pay attention to their own bodies. This app is fantastic with no unnecessary pink frills (despite the picture above).